If you have a few weeks in Jávea you might fancy straying from the beaches and chirinquitos a bit and take a trip with the family to see other interesting places in the area. 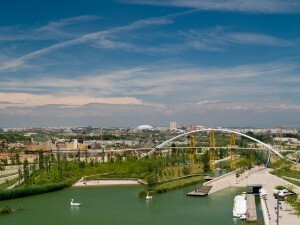 The city of Valencia is one of Spain’s biggest tourist destinations. The city, located to the east of the country, is a large, cosmopolitan city, but without the expense, or arrogance, of Barcelona, and smaller and cheaper than Spain’s biggest city, Madrid. There are daily flights from many UK airports, including Bristol, Gatwick and Manchester and the city boasts an enviable public transport system, a bit like a smaller version of the London tube. Valencia is far more cultural than many places further down south on “the costas” and there are loads of cultural and scenic opportunities to get out and about and let your hair down with the legendary “permanent party” mood of the friendly Valencian people. Traveling to Valencia with kids in tow can be a slightly challenging time, especially in the hotter months of July and August so where can you take the kids for a great day out? Kids soon get bored of the beach or being dragged around the stores by mum, so a day out that is reasonably priced, and fun, plus educational too, should be your destination when in Valencia. 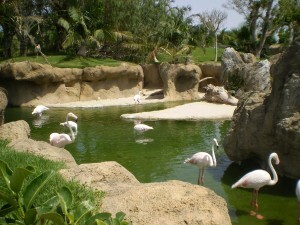 What better way to spend a day with the kids, than go to a zoo? But wait a minute, the word “Zoo” conjures up a forlorn 1970’s place, with sad animals kept in cages. Well, times, and attitudes, have moved ion since then, and Valencia’s Bioparc could not be further than that, and is about as far removed from the concept of a zoo as can be imagined. The Bioparc Valencia is all about animals in their “Natural habitat” and the park is designed to be accessible for all patrons, or all ages and abilities, and its disabled friendly too. You can see all kinds of animals, roaming free and quite happy, and it’s hard to imagine that this is near the centre of Spain’s 3rd largest city! 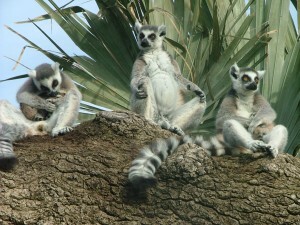 Animals and birds in the habitat they are from, is one of the things that really gives the “wow” factor in the park. In some places you really can imagine that you are walking around some place in Africa, and only the very occasional plane overhead from the airport tells you that you are still firmly on the ground in Spain! 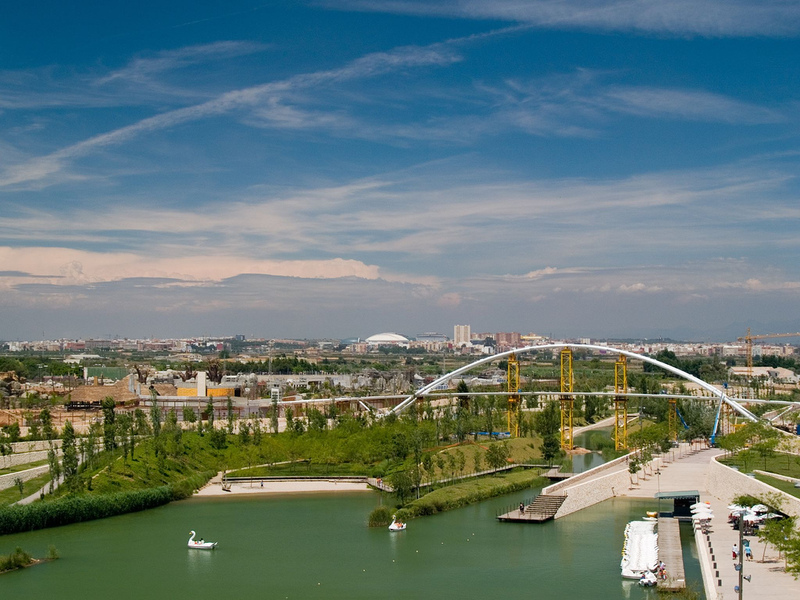 The Bioparc is a big place and should take the best part of a day to see all of it, but If you’re hungry there are plenty of places to eat and drink, or at lunch times, you can have a meal in the park’s main restaurant which overlooks a large plain. As you tuck into your traditional plate of Paella, it’s weird to know that you are head height with giraffes on the other side of the windows, which can be a quite bizarre experience for the kids! If you are visiting from the UK, don’t worry, there are also some staff who do speak a little bit of English, but there are plenty of signs and maps in English too, so even if you don’t speak the local lingo, you will know exactly what’s going, where to go, and what to see. The parc has a very good programme of live animal shows, educational talks about preserving the natural habitat of the animals, and also educational resources about conservation. 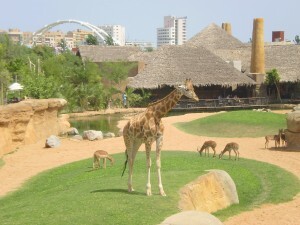 All in all the Bioparc in Valencia is a great day out for all the family and comes highly recommended. 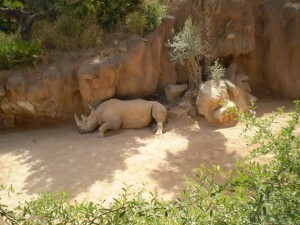 How to get to the Bioparc Valencia? By train, take the metro, nearest stop is Beniferri on the Line 1 (soutbound) or by car, turn off the CV30 motorway and head for Av. Del Mestre Rodrigo. There is ample parking right next to the entrance. Arrive early! 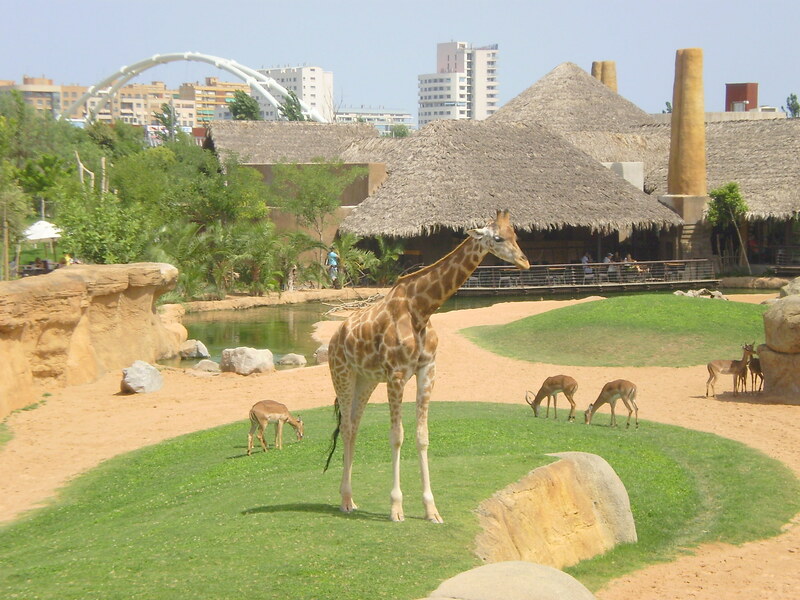 Pack up the kids for a nice day out and take a trip from Javea to Bioparc Valencia. The animals are treated to the highest standards and the experiences are wonderful for all ages! Other trips from Jávea include the Terra Mitica Theme Park, Picnics at Cala Blanca or El Moraig, the Montgo National Park and countless more. The Jávea part of the Marina Alta on the Costa Blanca is full to the brim with exciting activities for families, explorers and lovers of beautiful nature! This entry was posted in What To Do In Spain and tagged activities javea, bioparc valencia, holidays in spain, Jávea, javea trips, safari park, spain zoo, valencia, zoo. Bookmark the permalink. Its a slight misunderstanding I´m afraid, I do not sell tours to anywhere (or indeed anything). I simply present the options in the area to visiting tourists in the hope that they find inspiration for things to do and have a lovely holiday in Jávea. (kids 4-12, below 4 is free). 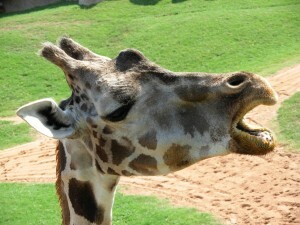 In July and August the park is open from 10am till 9pm all 7 days of the week. If you don’t fancy doing the drive I would recommend arranging transport with Beniconnect – http://www.beniconnect.com/contact-us.php… they are cheap, reliable and have super recommendations from plenty of people using them for airport runs and private travels. It did look like you were offering trips from Javea to the Biopark @[591102895:2048:Morten ElGordo Svensgaard], maybe something you could start ! blimey, did my article have that much response?????? Cool! i still think we should talk more about Morten, especially if my stuff gets this response..